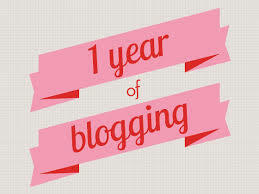 One year ago today I started my little blog here and wow has it grown. I have met so many people in my blogging journey and have learned so much in the process. It has been a frustrating kind of day today. I got the rejection call for that job that I interviewed for 2 weeks ago. I have no new interviews scheduled. I just keep sending out my resume to nothing. It is very discouraging to have nothing on the horizon. I just keep up with sending out my resume and keep trying to score interviews. Z is just as stylish as ever in her Nirvana shirt from my friend Echo. She is wearing a lace skirt with it to complete the grunge look. I got K's Christmas socks done today. By completing this pair I am officially at 7 pair of socks complete for the year so far. The pattern is called 7 Stitches per Inch Sock by Ann Budd from the book Getting Started Knitting Socks by Ann Budd and that is on Amazon for $15.57 here. It is my go to sock knitting book. Other than that I now have 2 sleeves to a sweater that has only had one sleeve done since October of 2012. I hope I find a job soon I am starting to get desperate. Has it really been a year? WOW!